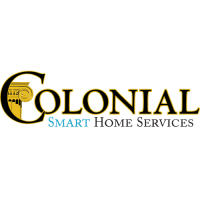 Builders League of South Jersey Grand Sponsor Colonial Marble & Granite is the nation’s leader in custom stone countertop fabrication and installation. We source natural stones from around the globe and put them on display in our massive indoor stone showroom—where you can choose from thousands of choices and hundreds of colors. That gives you outstanding options in countertops and tile, at the most competitive prices in the region. Our four area showrooms are open seven days a week, serving Pennsylvania, New Jersey, Delaware, Maryland, and New York City.